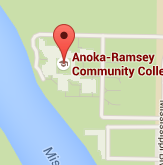 Serving military-connected students and their families is an extremely important part of Anoka-Ramsey's mission. We invite you to take advantage of the personal service we offer on our campuses by scheduling a meeting with a Veterans Academic Advisor, 763-433-1390. Certifying Officials in the Records Offices on our campuses can assist you with applying your benefits to your student account each semester. Veterans Academic Advisors and MDVA Regional Coordinators help you determine which benefits that you may qualify for and assist in with applying for those benefits. It's important to remember to submit your documentation requirements for the GI Bill™ to your certifying official at Anoka-Ramsey each semester. The following documents need to be submitted to the Records & Registration where the certifying official is located. To avoid delays, please provide all important documentation from the start. If you have questions, please contact Tadd Heichel at 763-433-1313. Copy, complete with your signature, of your online VA Educational Application or confirmation page. DD-214 Report of Separation/Discharge Papers - (Member 4 copy). -or- NOBE - Notice of Basic Eligibility - (Contact your unit for a copy). Submit official transcripts from any and all educational institutions you have previously attended. Submit any military transcripts from any branches of service in which you have served. Every Semester, notify your campus veterans' certifying official in writing of any changes (add, drop or withdraw) to your program/major or your courses. Failure to do so may result in a delay of additional benefits and/or repayment of any overpayment. Your completed file is filed with the VA Records Management Center in St. Louis, MO. 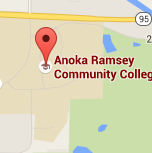 A copy is retained at Anoka-Ramsey Community College. Be sure to make a copy for your records and to notify the Veteran Services Department that you are utilizing Federal Tuition Assistance. Consistent with Minnesota State Procedure 5.12.1, a student who is a member of any branch of the U.S. military reserves, who is unable to complete a course or courses due to active duty call-up shall be offered the following course cancellation and/or completion options. In all cases, the student is required to provide the college with a copy of his/her call-up papers. A student may receive a 100% refund of tuition and fees if called to active duty. A student receiving financial aid who chooses this option is required to repay 100% of grants and loans (not work study) that has been disbursed for the term. An instructor may agree to assign the student an incomplete (an Agreement of Incomplete Form needs to be completed) even though less than 75% of the coursework has been completed. If, in the instructor's judgment, a student has completed sufficient coursework to earn a grade of C or better, the instructor may assign credit (a grade) for completion of a course. A student who does not find one of the first three options suitable, may withdraw from the course. A withdraw request will be honored even if the withdrawal deadline has passed. Additionally, it's a good idea for financial aid recipients to check in with the Financial Aid Office 763-433-1500.